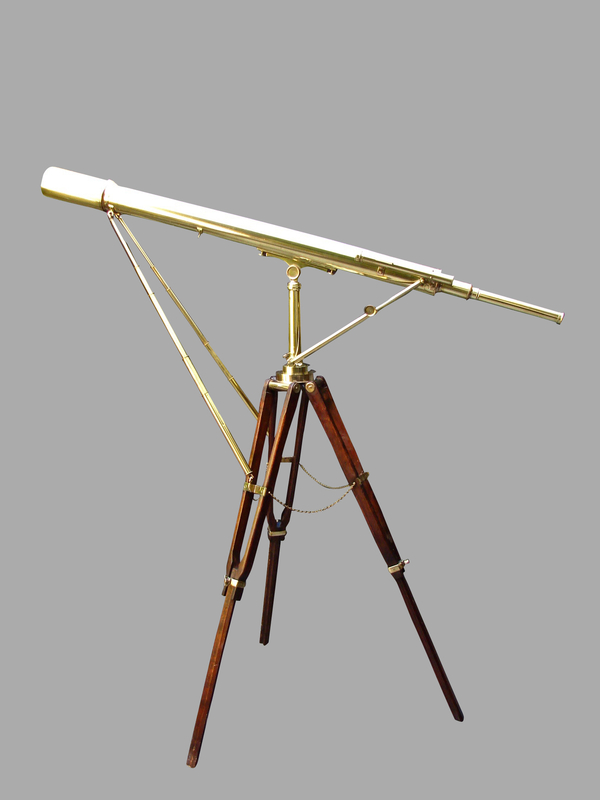 An impressive English brass 3.5" diameter refracting telescope made and signed by R & J Beck retaining its original brass mounted tripod and mahogany carrying case complete with additional lenses and astronomical mounts. 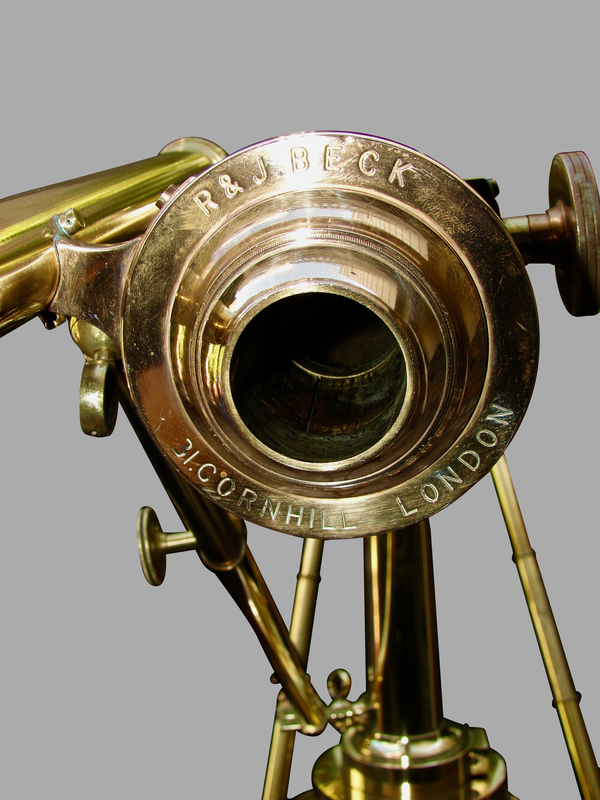 Circa 1900-1915. Provenance: Vallejo Gallery Newport Beach, CA.